Don Brown has worked in Transportation and Logistics for over 35 years. Having spent several years in LTL and Airfreight managing multiple terminals. Experience with Aerospace specialty items, Haz-mat, and Extralegal loads. The last 27 years have been with Dart International managing all aspects of Truckload Operations. Experienced in Solo, Team, Trans-con, Regional, and Local truckload operations. Additional experience includes Import deconsolidation, Cross-dock, and Full pallet warehouse operations. Prior to starting his career in the industry, Don served in the US Army as a helicopter crew chief. 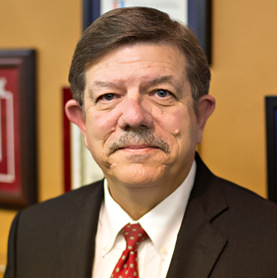 Don has attended Monterey Peninsula College and Golden West College focusing on transportation rates and tariffs, warehousing, and distribution, through the Chicago College of Advanced Traffic.